This experience was a good reminder to me that sometimes the best way to solve a problem is to ask for help - and help may only be a phone call away! 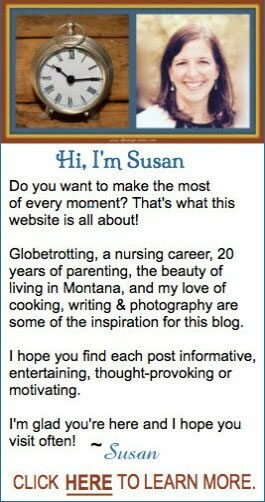 This lesson was reinforced, minutes later, when the link to the banner didn't work after I installed it on my blog. One email to the PartyPail representative, and just a short time later, it was fixed. Again - excellent company service. I hope you will check out PartyPail, and I'd love it if you used my link to click over to their site. * But, my purpose for writing this post is not really to promote their products (although I think they have cool stuff). Nor am I trying to drum up business for ShareASale (although so far, as a blogger I have found them really helpful, and I suspect Merchants think so too.) The point I am really trying to make, is that sometimes the best way to get something done is to ask a question. We often are reluctant or forget to use this valuable tool! Whether we are blogging; lost and needing directions; confused by something being taught in a class; or worried about a health issue - the best thing to do is to just ask! Can you think of a situation that would have been easier if you had just asked a question? I can't tell you how many times I've had issues with my website and I've been so frustrated that I finally called GoDaddy and just ASKED. And usually there is SUCH a simple answer and they walk you right through it! I'm right there with you on that one. Especially when it comes to tweaking the code to your blog, sometimes that can be a technical nightmare! I think it's great that you're starting to do affiliate marketing! I do it every so often on my blog too but I'm certainly no expert. I hope you'll share how it all works out for you and your blog! :) Have a great Wednesday! Thanks for leaving a comment, Monique. I'm glad to hear I'm not the only one who struggles with this - although I wouldn't wish the frustration on anyone! You have written some interesting posts - I especially like your viewpoint on "having phases!" You voiced exactly my concern! 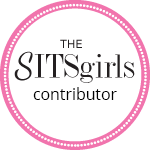 Thanks for commenting - and I hope you enjoyed your SITS day today! I ask lots of questions - and should ask more. About blogging - and about life. I don't always ask as many as I should - but I'm learning to! Super cool Susan! I will definitely check out PartyPail. I'm the same as you - I agonize over something forever, when just asking for help would probably be quicker and easier. Yes Lana - Way too much time on too many things .... ! I think PartyPail has pretty cool stuff. I will be interested to hear what you think! In my life....every.single.day! Only the phone just rings off the hook on the other end haha! I love this for you! They picked a terrific person for the job! My go to spot for all of MY party needs! I feel like I haven't seen much of you lately anything exciting going on other than dealing with html code that can make your eyes bleed? If you ever need any help with it I'm no expert but I've learned a few tricks here and there! Thanks for the compliments and offer for advice Rena! I know you have your hands full right now though! And yes - I know the sound of a phone ringing with-out an answer! I was really impressed by the rapid response I received by all three companies mentioned though! OMG, I am the question queen! As far as website tech goes, I have a web consultant because I would totally mess it up. I mean it. I do love ladybugs and they are such good luck! I thought from your blog that you had been doing this for a while! No, I just started blogging in August. Noticed you now have Amazon ads...I need to start making a little $ from this blogging fun...any advice? Your photos are really beautiful! Thank you for paying enough attention to notice that I now have Amazon ads on my blog. Amazon affiliates was really easy to sign up for, and I just did so last week. It seems really user friendly - time will tell if I make any money :) I joined Share-a-Sale so I could advertise about PartyPail - and there are lots of other companies they work with too. I really don't have a lot of advice, as I have also just started to think about monetizing my blog. I have pinned a bunch of posts about jt on my BLOG! Pinterest board. Perhaps those would be of help. Wish we lived closer and could brainstorm about this over coffee!